Sutejiro was aging quickly. His eldest son Ichiro was now an adult, educated but lacking maturity. While not explicitly stated, the “reigns” of the family was passing from Sutejiro to Ichiro. Ichiro was the destined heir apparent. While he was fully grown adult, he had not fully grown into his role. He was an adolescent in a man’s body. His father stood behind the scenes, propping him up when necessary, but never letting it be known that his eldest son was not ready. Ichiro was a hothead. He was quick to anger and his emotions often boiled over. He was not ready to head the family, yet he knew that was his role. He relied on the support of his father, but too proud to acknowledge. His overconfidence was often his downfall, but Sutejiro was there in the background to silently keep things on track. It was an uncomfortable situation, but there lacked any other alternative. Kanekichi was growing restless and impatient. He was now a young man of 17 years. His schooling was near complete. What would be his destiny? Unlike his older brother, he would not go on to secondary education (college). He had a curious mind, street smarts, and an intuitive ability to read people. He had boundless untapped energy and thoughts. His days remained disciplined – he had a morning routine of practicing Sumo at the beya, and in his makeshift range at the Yamamoto compound, perfecting his shooting skills with his .38 Special. In the afternoons and evenings, he spent more time in the streets. Without aim, he serendipitously stumbled onto two games --poker, an import from the Western world, and shogi, a Japanese board game similar to chess. Both games involved skill, luck, and psychological cunning. These attributes played well to Kanenkichi’s personality and strengths. He succeeded at these games. And, they had another appeal – money. Gambling was an intrinsic part of both. At first, the stakes were low. However, it was never difficult to find games of increasing stakes. Perhaps it was his physical stature, his youth, or perhaps a cunning demeanor that allowed other players to underestimate his skills. More often than not, he won the lion’s share of his gambling. Winning was one thing. Collecting was oftentimes another matter. Games often ended with anger and escalated confrontations. Losers often confronted Yamamoto, especially those that not only underestimated his gaming skills, but his resolve. These games did not end well for his opponents. Kanekichi never failed to collect. Bruises or bruised egos were sometimes a necessary consequence of winning a bet. Kanekichi rarely relied on his Sumo skills but they did occasionally come in handy. More than one poker game ended in physical confrontation. And, while his gun skills were never used, drawn weapons often did settle the score, though shots were never fired. It was the last game of the night. Cigarette smoke filled the room over the dimly lit poker table. Sake has flowed steadily and opium was liberally consumed throughout the night. Thousands of dollars (in Yen) were scattered onto the table. Two players were left, Kanekichi and his slightly intoxicated opponent, a tall, young but slim man -- confident, perhaps overly so. His opponent went all in with his final bet – over a few thousand dollars, Kanekichi, after seemingly a minute of contemplation, called. His opponent, confident that he had won, gives a menacing smile, turns over his cards to reveal 3 Kings, and reached for the pot. He began to rake his winnings. But wait – Kanekichi turned over one card – a 3 of diamonds. Then a 4 of clubs. An ace of spades. Then a 6 of diamonds, followed by a Jack of diamonds, a 10 of diamonds, and a 9 of diamonds. 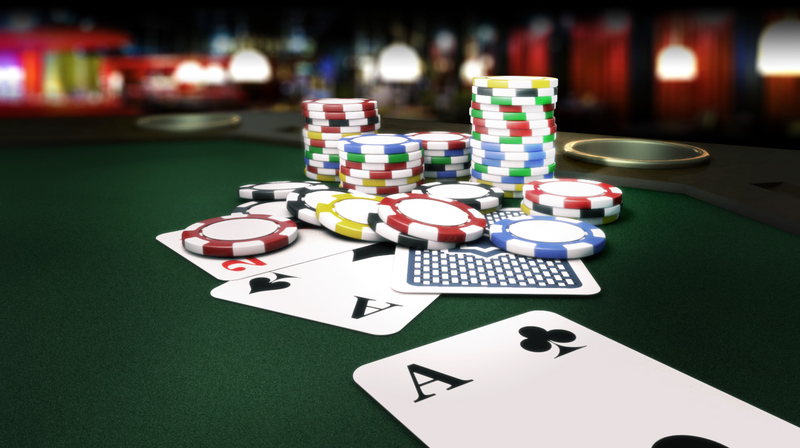 In disbelief, his opponent looked at Kanekichi’s hand and, in anger and drunkenness, turned over the table, tossing the chips and money all over the floor. He drew a gun. But Kanekichi was quick to draw too, and he stood and aimed his .38 at the chest of his opponent. Three gunshots were heard. The man fell to the ground, as he was shot in the head -- twice. Amid the commotion, Kanekichi snuck out the back door, as he returned his .38 to his holster. When It’s Time to Go, You KnowKanekichi began his short walk home. It was about 25 minutes. He contemplated what has happened. He had not fired his gun once – 6 bullets remained, one in each chamber of his revolver. Who shot his opponent in the head was a mystery – perhaps someone else had a grudge or unpaid debt and it was the perfect opportunity to blame someone else? Nonetheless, Kanekichi knew he would be blamed. Kanekichi began his short walk home. It was about 25 minutes. He contemplated what has happened. He had not fired his gun once – 6 bullets remained, one in each chamber of his revolver. Who shot his opponent in the head was a mystery – perhaps someone else had a grudge or unpaid debt and it was the perfect opportunity to blame someone else? Nonetheless, Kanekichi knew he would be blamed. When he got back to the Yamamoto compound, Kanekichi was met with yet another surprise. His eldest sister was crying uncontrollably. Clothes ripped, mouth bloody. His brother stood off in the distance. Angry, with a brow soaked with sweat, beads rolling from his forehead. Ichiro shouted at his sister. She continued to sob. “Don’t touch me!” she whimpered, as she tried to catch her breathe. He started to walk towards Ayoko with an open hand, presumably to strike her again. But Sutejiro, with seemingly his last reserve of energy, blocked his way to restrain him. He struggled but, ultimately, Ichiro stopped his approach. Ichiro, in frustration, retreated and left to go outside. Sutejiro was worn and depleted. He looked to Kanekichi without emotion and sat. Silence. Not a word was spoken between Sutejiro and Kanekichi. But the message was clear; Ichiro’s actions were clumsy and not well thought – and alcohol induced. Nonetheless, it was an assertion of authority. An action claiming his role as now the head of household, whether ready or not. Sutejiro slumped in his chair, closed his eyes, resigned to changes. Time marches on, whether you like it or not. Kanekichi, too, knew what has just happened. There was nothing left for him here. He reached into his jacket, all most instinctively, to touch the handle of his gun. He rubbed his fingers across the engravings – Tanaka. It was sunrise. Kanekichi did not sleep. The previous evening’s activities weighed on his mind. The confrontation at the club, while surprisingly not upsetting, was problematic. His innocence would be difficult to explain let alone believed. The incident at home, while disturbing, was not surprising. With Ichiro’s coming of age combined with Sutejiro’s increasing age, the moment was inevitable. If not the previous night, soon. 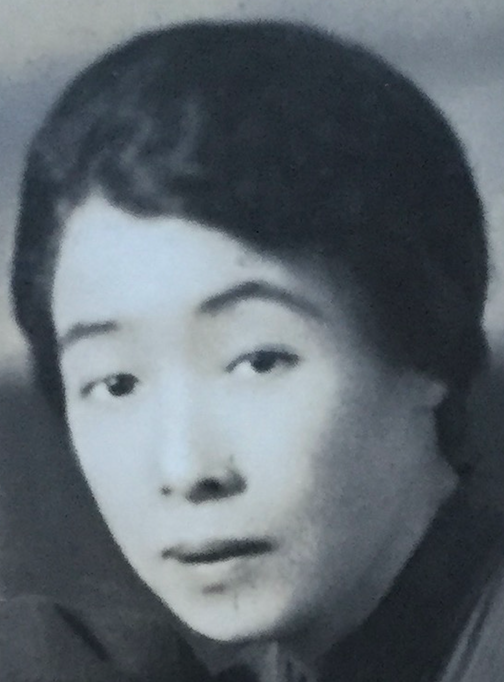 Whatever precipitated the incident between his sister and brother accelerated the transition of patriarchy in the Yamamoto family. And, consequentially, it was also time for Kanekichi to move on, whether he was ready or not. A steamer trunk was packed with the minimal belongings. However, he decided to take little of it – instead a change of clothing was packed into a small suitcase. Other than the gambling money that he had earned over the past year and the .38 his father had given him, Kanekichi concluded that any baggage would only hold him back. The sun had not yet fully risen on the horizon. His father and mother had not yet awoken. The previous night’s incident still weighed heavily. Speaking to his father would be an awkward and unnecessary confrontation of what had happened. There was nothing left to be said. He spied his brother, Ichiro, who also had not slept. After a momentary stare deep into his older brother’s eyes, Kanekichi looked away and said nothing. Ichiro had nothing to say to him either. Kanekichi walked out of the compound for the last time. His first stop was not far – he was headed back to the gambling club. While trouble potentially waited, Kanekichi was not to be denied what was his – the money he had earned from the previous night. He was not anticipating a confrontation but he was prepared. It was still early in the morning. Yokosuka was just awaking. With the brightness of new sunlight, problems did not have the cover of darkness, and they seemed to keep their distance. When he arrived at the club, he entered with out any fanfare. No one was there. However, two envelopes awaited him. The first was a bulky package. The second contained a single paged letter -- from Toyama Mitsuru. Kanekichi opened the first enveloped -- it was stuff with money– his unclaimed take from the previous night. He rifled his thumb over the tops of the bills – not counting exactly his winnings but estimating the approximate amount. It was only a small fraction of the actual winnings. Before he could open the second envelope, he heard a door open at the back of the club and men entering. Uncertain as who they might be or whether they had come for him or not, he discarded the first envelope and stuffed a rolled wad of cash into his pocket along with the note from Toyama. He quickly and quietly left the club. The sun was fully up now. Once out of the club, he started a brief walk to the Yokosuka train station. It was a fifteen-minute journey. His path was one well traveled – he had walked it many times. As he passed the familiar stores, homes, and other establishments, he reflected: this was the only life he knew and one that he would never return to. A life unknown waited. Once he arrived, at the train station, he scanned the departure board to find his destination: Yokohama. 10:55AM, Platform 2. He approached the ticket window and inquired about a ticket to Yokohama. One way. Standard class. He paid with his winnings from the previous night, peeling off several bills from the rolled wad that he had stuffed into his pocket. Upon receiving his ticket, he made his way to Platform 2, and took a seat on a platform bench. And waited. There were 3 hours until his departure. A few others waited, and as time passed, the platform grew more crowded. Most were businessmen making their way to their end destination of Yokohama but also individuals and families with life’s belongings precariously arranged in a towering stack of steamer trunks, boxes, and other odds-and-ends. They waited patiently but with pensiveness, apprehension and hope. Most were likely on their way to destinations beyond Yokohama. These people were leaving Yokosuka. Hope for a better way of life. Most intended to leave, make their fortunes, and then return to Japan. What they did not know was that most would not return to Japan. While their goal was clear, their end destination in specific was unknown. In general, it was clear: America was their destiny, a land of hope and opportunity. Kanekichi reached into his pocket to retrieve the envelope from Toyama. Its appearance at the club was as mysterious as the contents. Was Toyama at the club the previous night to see all that had happened? He opened the envelope. It contained two pictures. It was unclear who these people were. Maybe friendly people that could be of assistance? Kanekichi carefully placed both photos in the envelope, before returning it to his pocket. In the distance further down the platform, Kanekichi saw a few men playing cards. He watches and listened but did not approach. Small stakes poker. Many would be tempted to join in. Kanekichi was not. He merely passively observed. Inexperienced players he concluded. Instead he thopught about his future. What would he do next? America was his destiny. What would he do in general? Yokohama was only 11 miles north of Yokosuka. It was about an hour train ride. 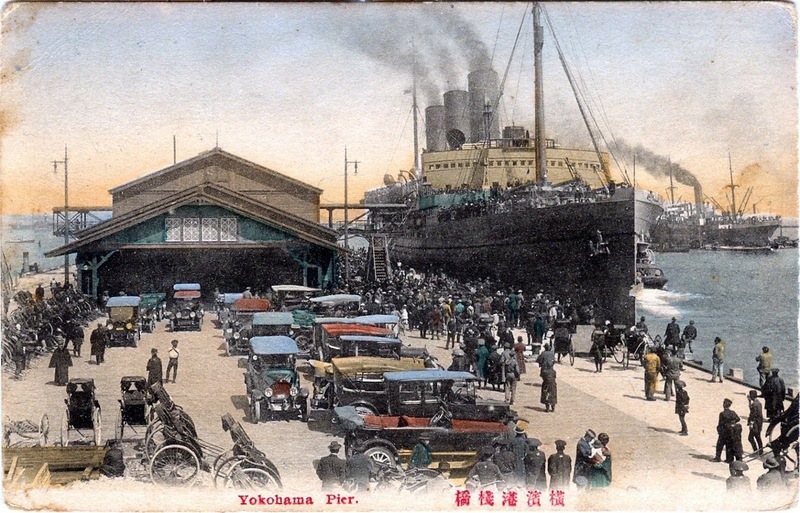 In the early 20th Century, Yokohama emerged as a major port town. It was, in many regards, the Japanese gateway to the world. As such, it was an international city, rapidly growing. It was increasingly diverse, cosmopolitan, and affluent. 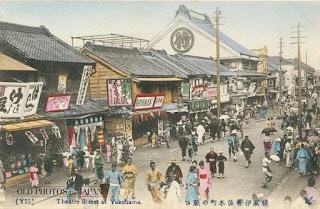 Like Yokosuka, Yokohama was a microcosm of Japan’s transformation during the Meiji Restoration. While Yokosuka reflected Japan’s desires as a military power on the word stage, Yokohama reflected its place as an economic and industrial power. The train to Yokohama arrived on time, as usual. A few minutes pass as the train was loaded with passengers – and all the baggage from those headed to destinations further. It was an uneventful trip. Kanekichi rode alone, seated in a confortable cabin in a window seat. Gambling winnings had rewarded Kanekichi with the luxury of opportunity. Travel and mobility were two of them. Time passed quickly, and Kanekichi arrived in Yokohama without much fanfare. He de-boarded the train and entered the streets of Yokohama in search of the port. As he wandered through the streets of Yokohama, he hungered as it’s been hours since awaking at sunrise. Food was not far away – he settled into a small sushi/sashimi restaurant with seating just off the street front. He spoke briefly with an older man sitting next to him. 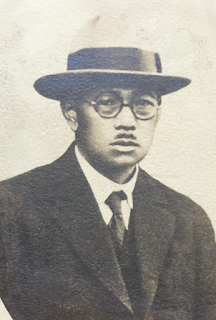 Kanekichi gave vague but correct details – he was leaving Japan for the United States. And, he’s attempting to find passageway. And his first step was to find the Yokohama port. He also briefly mentioned that he has no visa or passport. While he knew the “Gentleman’s Agreement of 1907” allowed him entrance, lack of papers could create a problem. Fortuitously, his new friend, Usamu, worked at the port, unloading /unloading goods to/from from the large cargo ships arriving/departing from/to destinations abroad. He sympathized with Kanekichi’s situation but was able to offer no more help other than directions to the passenger ship terminals, about 20 minutes away. Kanekichi departed for the terminal. Upon arrival, he checked for departures to America, specifically, Seattle. After scanning the schedule, he discovered there are no ships leaving in the next week. Concerned that trouble may be on the way from the incident the night before, he contemplated his alternatives. Then, Usamu magically appeared, and he invited him for a drink at a public house just a few blocks away. Kanekichi, aware that such places might avail people that could help in his predicament, accepted the offer. To no surprise, they entered the house to find card tables, drinks, and women of questionable reputation. Maybe there was someone here that could help. Every one seemed to be salty and experienced from the shipyards. They understood the ins and outs of the maritime port; the rules and regulations of an international bulk-and-break point and the edges of legality that could be exploited. “Wait. Maybe I can help you with your passageway,” he stammered. Usamu nodded to Kanekichi and looked back to Shiro. It was enough verification that maybe Shiro could help. Kanekichi sat back and looked to Shiro. Shiro pulled back half the money on the table. “I can get you aboard the Yone Masu. They need staff. Come,” said Shiro. He motioned with his right hand to summon Kanekichi to the door. Kanekichi collected the remainder of the pot and followed Shiro. They take a short walk to the office of a shipping company a few blocks away. Outside, the “Yone Masu” towered over Kanekichi. “Wait here,” Shiro told Kanekichi as he entered the office. Shiro talked to a man behind a desk, but Kanekichi could not hear. The discussion was animated at first, as Shiro’s arms flailed and he pleaded his case. The man behind the desk sighed, gave Shiro a stern look, and shook his head from left to right, but agreed to grant the favor that Shiro has requested. A handful of yen exchanged hands, from Shiro to the man. Shiro emerged from the office and gave Kanekichi some paperwork. Go to the “Yone Masu” at 5PM. Show them your paperwork – you have been given a position as waiter.” said Shiro. Kanekichi took the papers, the men shook hands, and Shiro turned and started walking away. “Good luck,” Shiro said, as he disappeared into the crowd. The Yone Masu was massive and shiny. It was 305 feet long, comprised of two decks with a triple expansion engine. It was built by the Harima Dockyard Company and one 235 ships based on a British prototype. The ship was purchased by the United States government, and would soon be renamed the “Eastern King” once transferred over to the United States. Perhaps this was its maiden voyage, reasons Kanekichi – and the only time it would sail at the Yone Masu under the Japanese flag. At 5PM, Kanekichi approached the gangplank of the Yone Masu. He did not know what to expect. He took a look around, saw little, except for the purser at the top of the plank, so he began his assent. The purser asked for the paperwork that Shiro had given him, and, after a quick examination, he stamped them without ever looking up at Kanekichi. Easy. Kanekichi found his room and dropped his suitcase on the floor beside the small hammock bed. The journey to America would be about two weeks. It was unclear what Kanekichi did during those two weeks. While the manifest said that he was officially a “waiter,” it was unclear whether Kanekichi performed any such duties. I suspect not. In addition to a small amount of low stakes poker, his days were likely filled with thinking, contemplation, and reading. Further, it was prudent to “lay low” and create any reason to be noticed. It was a formative time for Kanekichi. His departure from Japan was abrupt in its timing but well understood that it was necessary. His brother’s recent actions affirmed it was time to move on. And, Japan itself was rapidly changing. What opportunities were availed to Japan, and, more importantly, what opportunities were there for Kanekichi? He was certainly shaped and influenced by his past, but the past offered little in terms of a blueprint for the future. It seemed life outside of Japan to help Japan was his destiny. Many hours were filled reading. Kanekichi had brought with him a collection of papers by Saigo Takamori. They were given to Kanekichi by his father. They were well read. Yellowed and fragile from over use, these papers were studied and referenced by his father, all most religiously. (Quite possibly literally.) The mysterious Toyama also seemed to be quite compelled by Takamori’s writing and also spoke as though the writings were scripture. Yamamoto carefully read and re-read Saigo’s writing. His reading was interspersed with much reflection. Saigo provided the philosophical construct for the Japan that was emerging. Kanekichi thinks deeply about his meetings with Toyama when he was an adolescent. While he had explicitly rejected Toyama’s indoctrination and ritual, he accepted the philosophical and practical implications. Kanekichi reasoned that Japan could emerge as a 20th Century superpower. It will rival the United States, Britain, and Germany. During the Meiji restoration, Japan had transformed itself from poor agrarian country to an industrial, economic and political force. Its surprising victory over Russia in 1905, led by Togo, forced Russia out of Manchuria, setting the stage for greater military and political expansion. And, a growing Nationalist movement was spreading through Japan, accelerated by a religious fanaticism, promulgated by Nichiren Buddhism. The Emperor Meiji not just led Japan to a new era, but he consolidated loyalty to him and the Emperorship. His position as the direct descendent of the Sun Goddess Amaterasu was unquestioned, enabling him to consolidate power, much to the discomfort of the Japanese government – the Prime Minister in particular. Japan had set it sights -- China, Asian, the World. This stirred Yamamoto. He was obligated and loyal to his country and emperor. Kanekichi reasoned, could he be the Rising Son in the Land of the Rising Sun? While early 20th century Japan was modernizing quickly, a proud history of the Samurai and Shogun remained. While operationally neutered and reduced to roles of administration, the samurai and the shogun continued to play roles in the hearts, mind, and practice of Japan. Practical, real, and official power was largely gone. They lived in the faded glory of the past. However, it's traditions and culture in many regards remained true to this way of life, enveloping Yamamoto, whose own family (actually both the Yamamoto and Tanaka families) was of the samurai class. The rapid expansion of Japan was not without growing pains. Power struggles were the natural consequence. The former Shogunate class, the military, the deity, and the government clashed as each had goals to usurp power.